The tour of Israel in 1984 was thanks to the sponsorship of Barnett Shine who had heard of the previous tour from JSPL and wished to widen our ecclesiastical parameters. Barnett Shine contacted Teddy Kollek, Mayor of Jerusalem, who put Yehudi Fickler, the Administrator of the Jerusalem Symphony Orchestra, in charge of our visit. One hundred and twenty of us arrived in Ben Gurion Airport early in the morning and travelled to a splendid kibbutz inn high in the Judean hills overlooking Jerusalem. We were gradually allocated rooms and then were off to visit old Jerusalem. After a rehearsal, a rather sleepy group returned for the evening performance of the Creation in the Benedictine Dormition Abbey on Mount Zion. Nevertheless, a great performance ensued. The most prestigious event of the tour was in the Jerusalem Symphony Hall in which we performed the Mozart Sinfonia Concertante for wind, and Belshazzar’s Feast, probably the first performance in Israel since the Sir William himself conducted the work in 1963. The group set about exploring historic Jerusalem with its ecumenical diversity; where King David had conquered the Philistines in 1,000 BC, and where the Dome of the Rock Mosque stood on the site where Solomon’s two temples had been destroyed, the first by Nebuchadnezza in 586 BC, and the second by Emperor Titus in 70 AD. Other notable visits were to the Church of the Holy Sepulchre, the Wailing Wall and the Yad Vashem Memorial of the Holocaust. 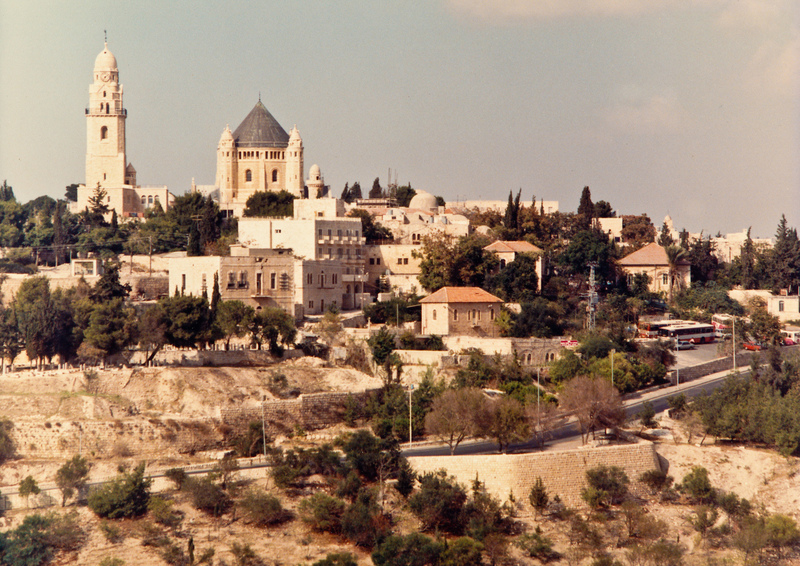 Visits outside the city were made to the Mount of Olives, the Garden of Gethsemane, Nazareth, the Sea of Galilee, Masaada and the Dead Sea. The visit tothe Hadassah Medical Centre enabled us to see the Chagall stained-glass windows of its synagogue. It is remarkable that we also had time to give concerts in the University of Tel Aviv and in the Ein Hashofet Kibbutz near Haifa.